A native of Missouri, where she studied at Westminster College, Ashley has been a valuable part of our team since 2008. She has worn many hats at our office from dental assistant to front desk and has been our office manager and treatment coordinator for several years now. 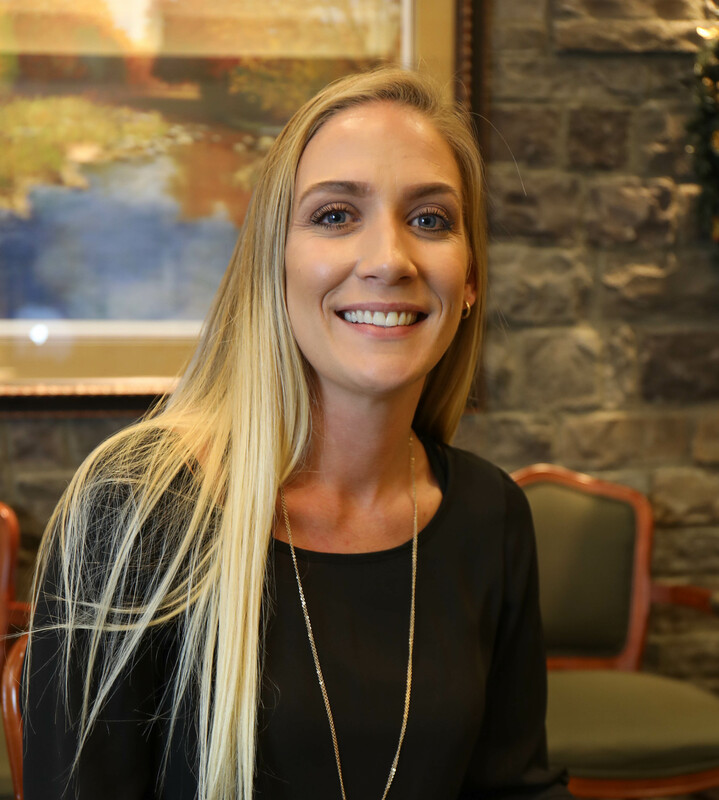 Ashley says, “There is true beauty in dentistry and I take pride in helping navigate patients to a smile they love and can be proud of.” In her spare time Ashley enjoys spending time with her family, trying new cuisines, traveling and working on her golf game with her husband, Shaun. She is also an avid college football fan! Go Mizzou! Liliana is from Santa Barbara, CA and has been in the dental field since relocating to Las Vegas in 2002. “Over the years I have come to truly appreciate the change we can make in someone’s life through dentistry. 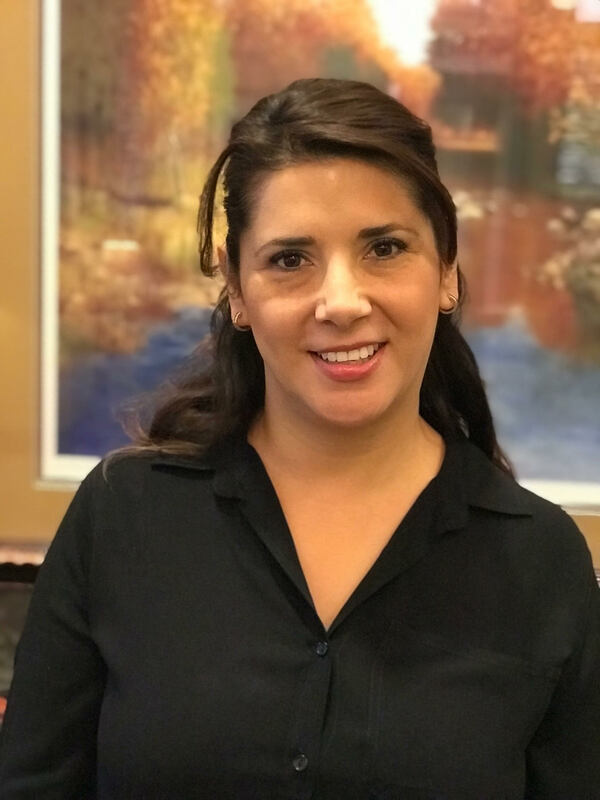 I enjoy interacting with our patients knowing we strive to provide them with great oral health.” Lili enjoys cooking and spending quality time with her husband and two kids. When she does have some free time Lili likes sketching and drawing. Emily was born in San Diego, CA and has worked in the dental industry since 2005. 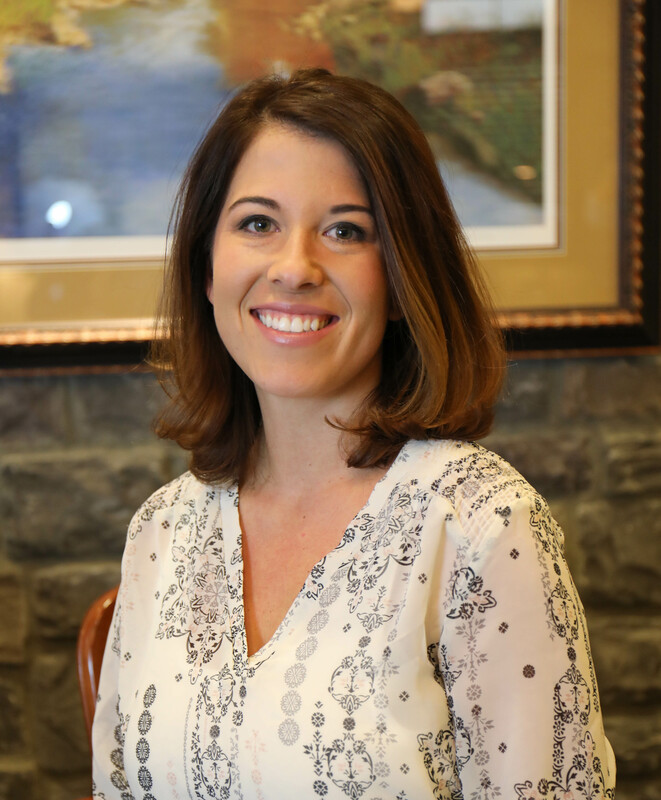 Emily is trained and has experience assisting patients both chair-side and in the front office including insurance verification and scheduling re-care appointments. Emily enjoys dentistry because “With every patient there is the opportunity to change the way they feel about coming to the dentist by creating a fun and inviting environment.” In her free time Emily loves going to the beach, camping, riding quads and traveling but most of all she enjoys spending time with her husband and son. Bridget is also a native Las Vegan and has worked in the dental field for over 10 years and as a RDH for the last seven years. “I take pride in being compassionate and thorough; making sure each patients’ individual needs are met to achieve overall oral health.” Bridget loves sports and especially likes to golf. Mostly she feels blessed and keeps busy with her husband and their three young daughters who are three, two and 3 months of age. Bridget has been with us since 2010. 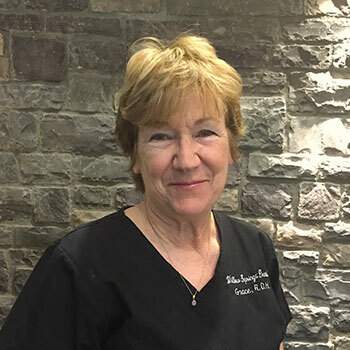 Grace graduated from the dental hygiene program at the University of Pittsburgh and practiced in North Carolina and California before moving to Las Vegas in 1978. We have been lucky to have Grace as a part of our team since 1997! Grace feels the same way about our office as she says, “The staff are enjoyable to work with because they respect and help one another. I am grateful to be here.” Away from the office, Grace counts gardening, baking and hiking as her favorite activities. Grace often brings in homemade jam and baked goods to the detriment of our waistlines! Shuyan graduated from college in Shanghai, China where she studied Physics. She is Chinese-American and has resided in the United States for 25 years, with 23 of those years here in Las Vegas. 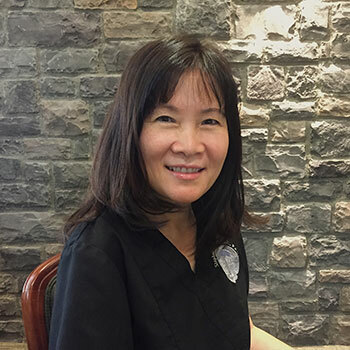 In 2000, Shuyan graduated from the College of Southern Nevada hygiene program and has practiced as an RDH ever since. Shuyan loves her career in hygiene saying,”I am very gentle and kind and look forward to meeting new people.” Shuyan is fluent in English, Mandarin and some additional Chinese dialects. She enjoys gardening, traveling and cooking Chinese food – her pot-stickers are an office party favorite! Shuyan has been with us since 2009. 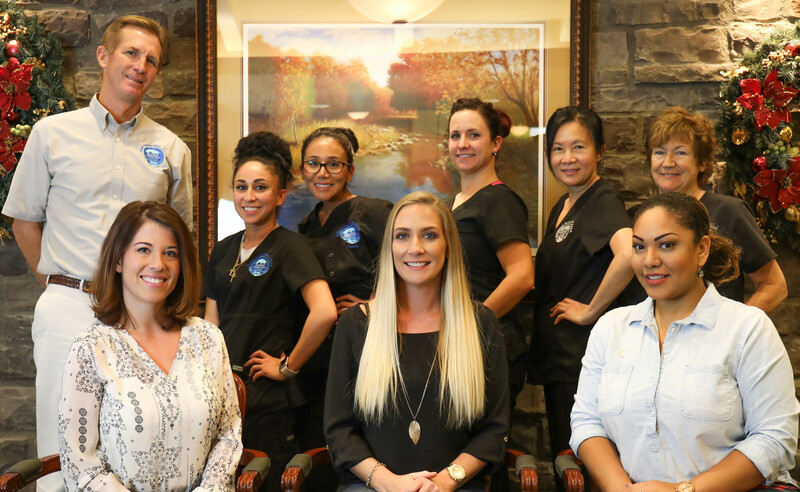 Danielle is a graduate of Dental Hygiene program at College of Southern Nevada and has over 10 years clinical experience. Danielle is also Laser certified and continues her education in Periodontal Therapy and Implant Health. She says her favorite part of her job is helping her patients work through their dental anxiety. Danielle is a native to Las Vegas and enjoys spending her free time outdoors with family and friends. Welcome Danielle! Jennifer is a Las Vegas native and is currently attending College of Southern Nevada pursuing a degree in Biology. She enjoys all aspects of dentistry and welcomes our patients with her huge, beautiful smile! Away from the office, Jennifer is a freelance photographer who enjoys all kinds of artistic activities and is an avid hiker. Jennifer is also fluent in Spanish. 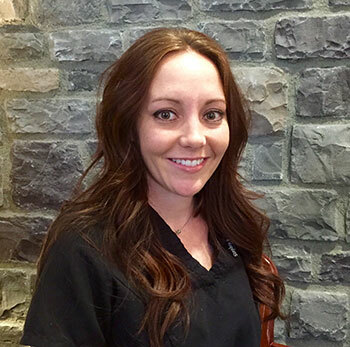 Bree is a dedicated dental assistant who has a passion for dentistry and a great personality. She has lived in Las Vegas for almost 3 years and joined our team January 2017. She loves her family and pets, and when she isn’t spending time with them she loves practicing calligraphy and enjoys making music. She loves learning new interesting things and is working on one day becoming dental hygienist. Welcome Brianna! Erika is happily married with two kids, a 13 year old daughter and 7 year old son. She has been in the dental field for 15+ years, as a receptionist, treatment coordinator and office administrator. Erika graduated from CSN – Dental Hygiene Program in 2006 and has been practicing since. 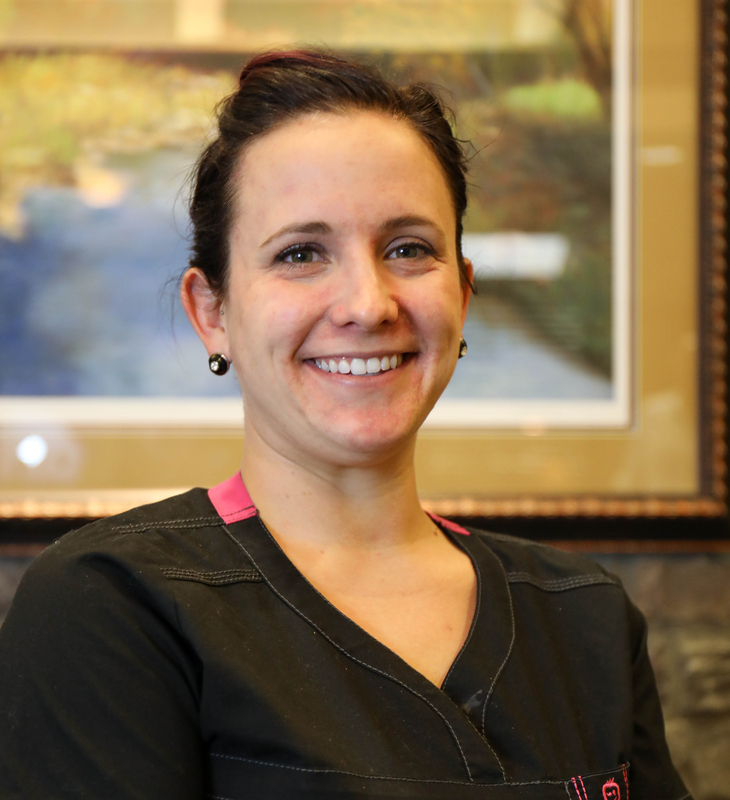 She shares the same passion for dentistry as Dr. Spelman and the rest of our team.